Frank Stella, one of the most brilliant printmakers of our time, stopped making prints in 2001. It was in that year that Kenneth Tyler, the master printer with whom Stella made his first print series at Gemini G.E.L. 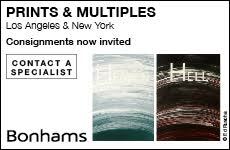 in Los Angeles in 1967, closed Tyler Graphics Ltd., the technically inventive print workshop he established in New York state in 1974. Together they had created almost 300 graphic editions, from the cerebral lithographs of the Black Series (1967) to the prints of the visually and physically rollicking Imaginary Places Series (1994–1999), which variously combined lithography, etching, aquatint, relief, engraving, screenprint, woodcut, mezzotint, embossing and more on handmade paper, and made extensive use of computer-aided design. 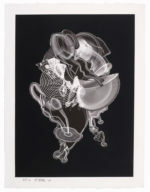 Although Stella also produced important prints working with Petersburg Press (London and New York) and Waddington Graphics (London), it was primarily those made in collaboration with Tyler during the last 20 years of the 20th century that carried the processes of printmaking to the threshold of 21st-century printmaking’s digital age. The full scope of Stella’s achievement—and his no-less-than-thrilling journey from reluctant and conventional to passionate and groundbreaking printmaker—is presented in Frank Stella Prints: A Catalogue Raisonné, prepared by Richard H. Axsom of the Madison Museum of Contemporary Art. This book is an updated and much revised version of Axsom’s The Prints of Frank Stella: A Catalogue Raisonné, 1967–1982 and is yet another major contribution to the chronicling of contemporary graphic work published by the Jordan Schnitzer Family Foundation of Portland, Oregon. The new volume is appropriately regal, with expansive, cleanly designed pages, a clear, sensible format and plentiful color reproductions. 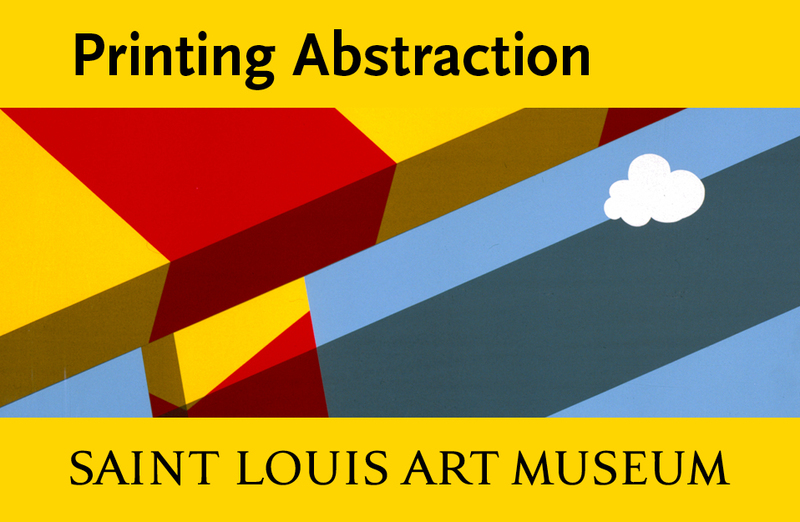 Axsom’s introductory essay, “Perpetual Invention,” highlights the myriad transitions that occurred over the course of Stella’s printmaking career. In the catalogue raisonné section of the volume, each series (Stella habitually works in series) is introduced with a full-page detail of one work, followed by a brief, informative commentary that calls attention to, and sometimes illustrates, related paintings, reliefs or sculptures. Thumbnails of all the prints in the series are then presented (a useful addition), followed by a large image of each work accompanied by its technical information.1 This tome will obviously be invaluable to those with a serious interest in Stella and his artistic output, but it should also be recognized as indispensible to anyone seeking to understand contemporary art, abstraction, printmaking in the 20th and 21st centuries and the nature of creative genius. 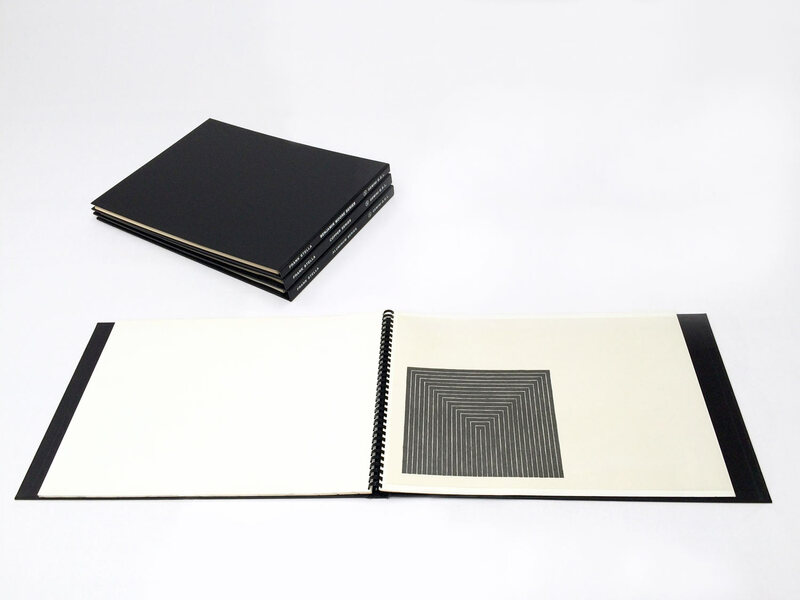 Frank Stella, Getty Tomb (1967) from Black Series I, as displayed in album, with three other binders from the album project, lithograph, 15 x 22 inches. Edition of 100. Printed by Kenneth Tyler. Published by Gemini G.E.L., Los Angeles. 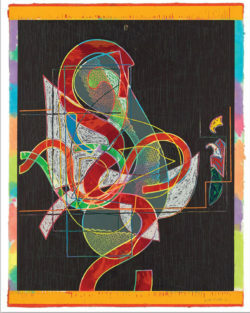 The three print series Stella created at that time were Circuits (1982–84) and Swan Engravings (1982–85), made with Tyler Graphics Ltd., and Shards (1982), his last project with Petersburg Press. Although related to the concurrent Circuit Series metal reliefs in materials and imagery, they were independent entities, each series embracing its own stylistic issues, spatial dynamics and art historical referents. It was in the distinctly cubist Swan Engravings that Stella began to employ a process he was to use and expand upon in subsequent work, which was to assemble studio detritus—laser-cut etched metal fragments left over from the production of his reliefs—on a single board to create a printing matrix. The collaged plate would then be inked and wiped selectively to produce variations in tone or color and printed both for intaglio and relief. The substrate for these and the majority of Stella’s subsequent prints were thick, heavily textured handmade papers produced in Tyler’s in-house papermaking facility. Frank Stella, Schwarze Weisheit #1 (2000), aquatint and lithograph on white TGL handmade paper, 37 1/4 x 28 inches. Edition of 19. Published by Tyler Graphics, Ltd., Mount Kisco, NY. Axsom wrote in the new catalogue that Stella’s prints “are forever entangled with the pictorial ideas and materiality of the paintings, metal reliefs and sculptures” and that to isolate the prints “from his work in other media shortchanges the fullness of his practice and identity as an artist.”8 Although to this end the Whitney retrospective included seven prints, among them the monumentally scaled (91 x 275 3/4 inch) mixed-media work, The Fountain (1992), the fact remains that while Stella continues to produce reliefs and sculptures, his preoccupation with printmaking came to an end when Tyler closed up shop. Frank Stella, Juam (1997), relief, etching, aquatint, lithograph, screenprint, woodcut and engraving on white TGL handmade, hand-colored paper, two sheets (irregularly shaped and overlapping), 79 1/2 x 61 1/2 inches overall, top sheet 43 1/2 x 61 inches, lower sheet 49 x 61 1/2 inches. Edition of 40. Published by Tyler Graphics Ltd., Mount Kisco, NY. 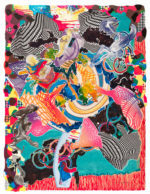 The shuttering of Tyler Graphics coincided with the increasing prevalence of digital tools within all types of print processes—software for generating, manipulating and cleaning up images; printers for proofing and generating elements, if not whole images.9 While computer-generated images played an important role in Stella’s art from the mid-80s and while the artist used computer printouts in various architecturally scaled projects, such as his interior design project for the Princess of Wales Theatre in Toronto in 1993, Stella’s mixed media prints, for all their technical extravagance, remained rooted in traditional print technologies. 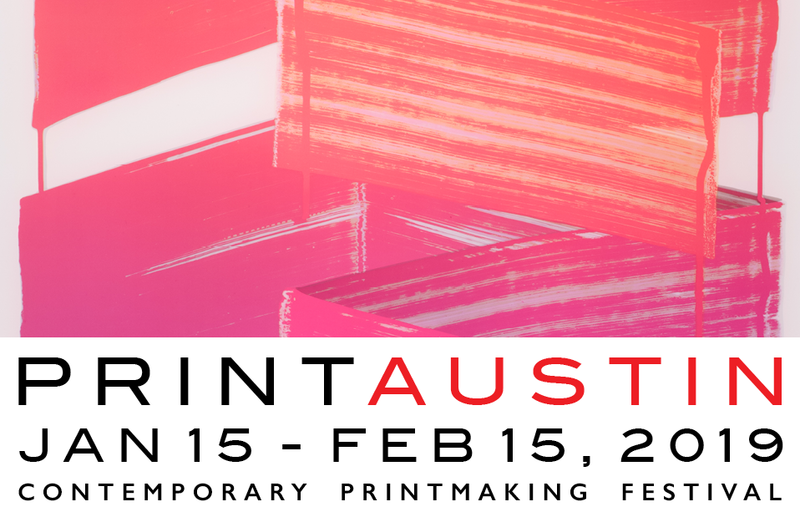 With their heavily textured, multidimensional surfaces, they are profoundly physical entities produced through costly, time-and labor-intensive processes with the involvement of master printers. Stella’s final collaboration with Tyler was the Schwarze Weisheit Series (2000), titled after one of the artist’s favorite cigars. It translates from the German as “Black Wisdom,” a nod to the Black Paintings (1959–60) and Black Series prints (1967) that initiated his career in painting and printmaking respectively. The Schwarze Weisheit prints look back to those early works in use of black and white, simple processes (lithography or lithography and aquatint) and focus on a single image, in this case a smoke ring. As the forms in Stella’s farewell to printmaking twist and curl in space, they seem to conjure a human face, a self-portrait.10 The artist leaves us in a breath of smoke. The one criticism that can be directed at this new catalogue raisonné is that, like Stella’s prints, it leaves the reader wanting more. Axsom performed a herculean feat in compiling the contained information, but a companion volume is needed to explore the art historical references—Western and non-Western—of this most knowledgeable of artists and to consider his complex iconographies and literary references. Stella may have concluded his involvement with printmaking (whether for good or for now), but for the rest of us, the work has barely begun. It will be decades before the extent of his achievement in printmaking is fully understood.